Mercedes Benz SLK Forum > Vendors > CARiD.com > Wheels & Rims by Vorsteiner at CARiD - Massive Sale! 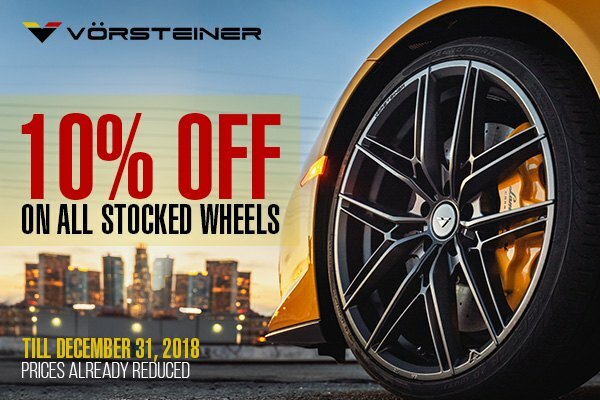 Rims by Vorsteiner at CARiD - Massive Sale! today we are here with some great news for those sports and exotic car owners who are looking to spice up the appearance of their cars and save some cash. The newest Vorsteiner promotional offer is your chance to save up to 10% off on a complete set of 4 rims. This big sale on all stocked wheels won't last long, make your purchase till the end of this year to get your discount. Prices are already reduced. Last edited by carid; 12-13-2018 at 03:45 AM. Wheels & Rims by Vorsteiner at CARiD - Massive Sale!